In 2009, my husband bought me a new mountain bike for my birthday. 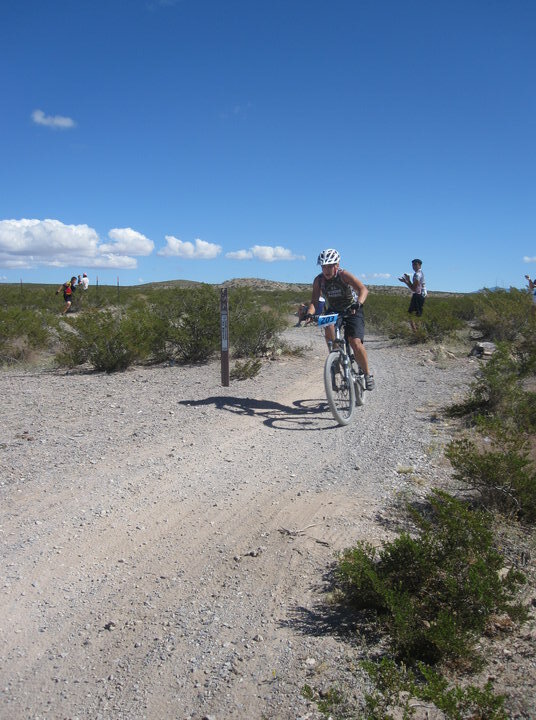 He had hoped that I would start riding with him so I immediately started practicing on the local courses here in Las Cruces. Meanwhile, he had been participating the state mountain bike series and I rode along to cheer him on. 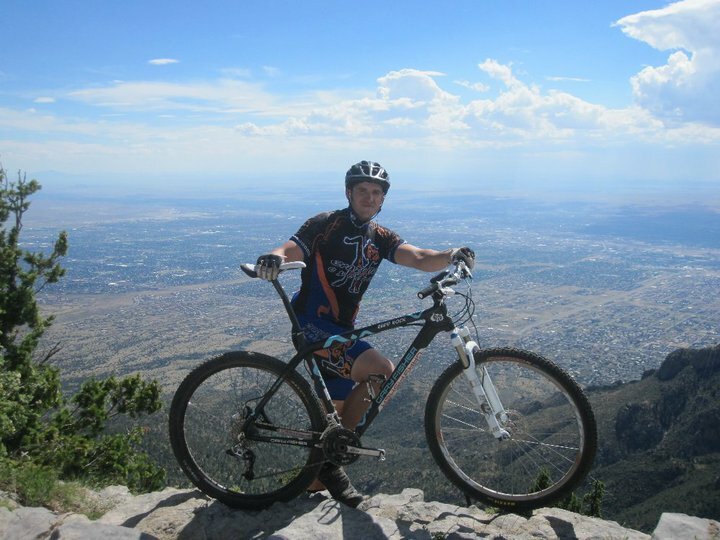 Honestly, I prefer mountain biking to road biking because it is more of an individual sport. I feel a little intimidated working with a group and know that if I fall or get hurt that it is completely MY fault and not because of someone else. Mountain and road are different. I pretty much train to whatever race is coming up. If it’s a hill climb, then a do a lot of hill climbing. If it’s a flat race, then I train more distance. 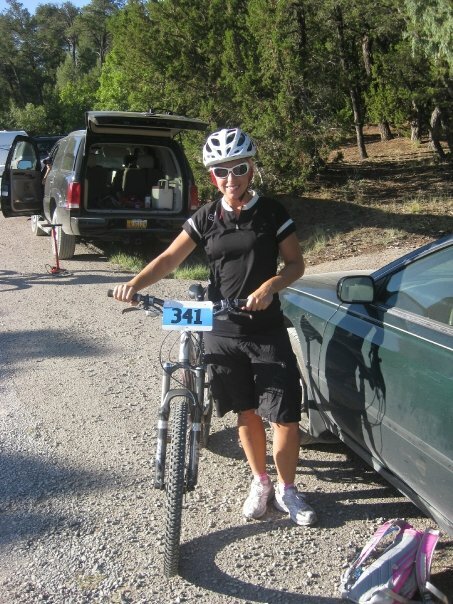 In 2011, I was able to with the NMORS series for the Category 30-39 Sports Women Category! In New Mexico, they have two racing series, the NMRS and the NMORS. The first link is to the schedule of both road and mountain bike races. 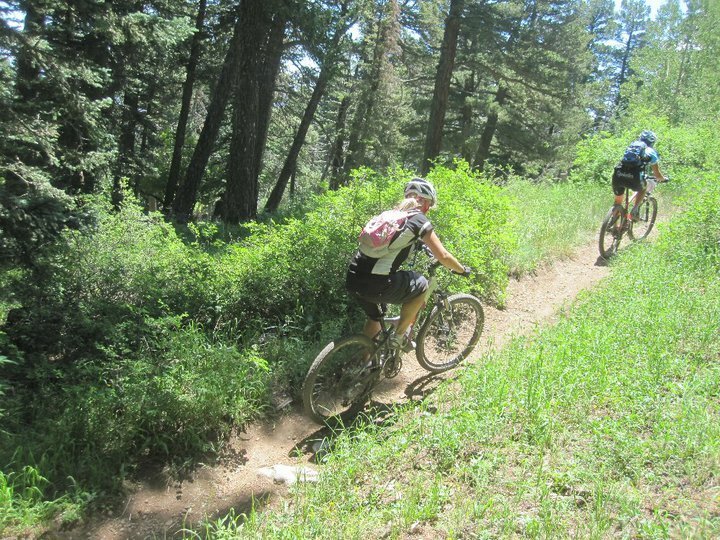 The second link is specifically for just mountain biking. The NMORS is the one I mainly have focused on. 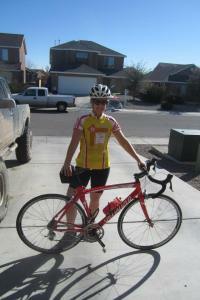 In March of 2012, we purchased a road bike from a friend of ours so that I could join the husband in the racing series. 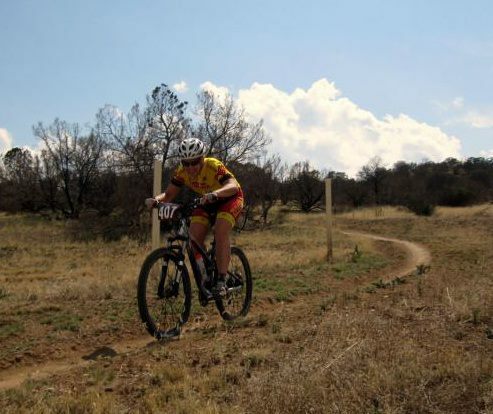 My first race was the local cross-country race in Hillsboro, NM where I placed in the middle of the pack. Road racing is a lot more strategic and you tend to work as a team to save energy since there are more miles to ride. 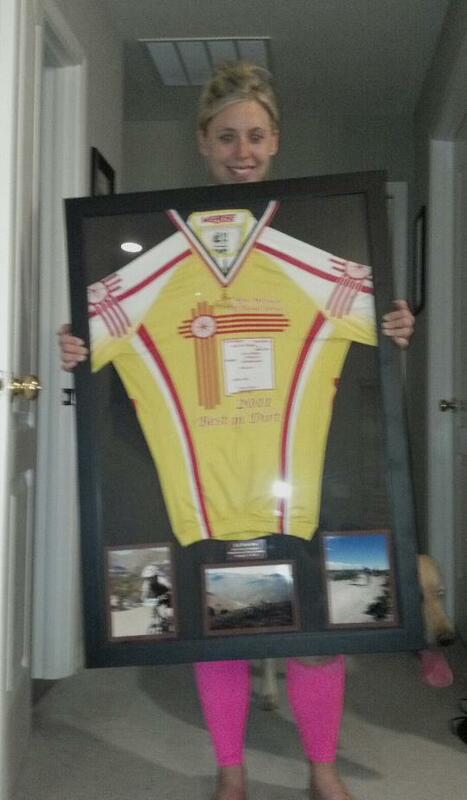 In 2012, My husband Mike joined the Zia Velo team, which is the local bike team for Las Cruces. I am in their club so you will see me in their jerseys at the mountain biking races or triathlons that I participate in. Until I am hard-core road biking, I am just in the club (which is fine with me). Our mountain bike and road crew feel like family to us. We usually see them once or twice a week depending on the activities we participate in. During the bike racing season (March to September), Zia Velo has a few meeting times which include riding the Ocho Course in Picacho Hills on Sunday Morning, riding the “heater” in Old Mesilla on Wednesdays at 5:30pm (they meet at Andele’s Restaurant), or on Saturdays they do the group ride up the airport hill (which they all meet at Milagro’s on University Avenue). What Are Your Favorite Places to Bike? 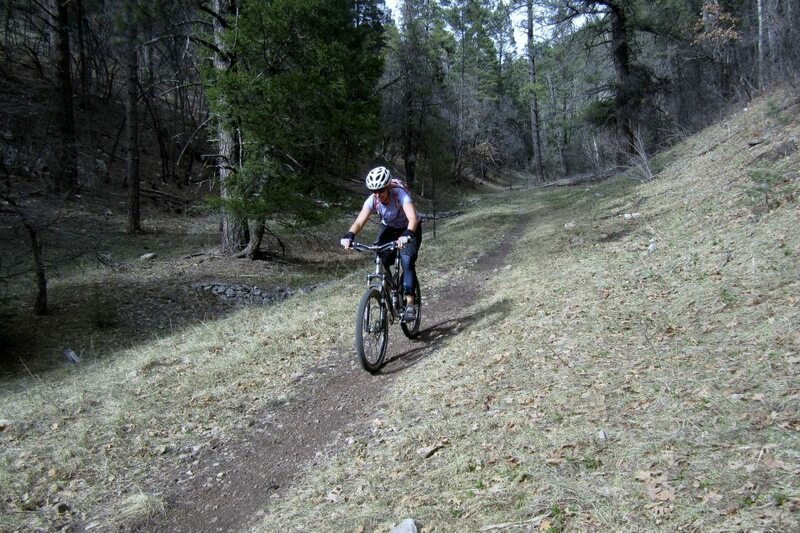 I have three favorite trails to ride in New Mexico. 1. Cloudcroft, New Mexico: Rim Trail. Awesome trail with hills and bombing downhill. Fresh air and cool weather. Perfect atmosphere. Check it out! 2. Dona Ana Mountains. This is our home court and I’ve placed high in both races I’ve done in sport here. It’s very rolling and definitely has its challenging parts. Here’s the link! 3. Sandia Peak. Love this hill climb. It’s on a ski lift so it’s a bunch of switchbacks with uphill climbing. So fun though! Albuquerque has some great trails. Another link! Want to Ask Mike Questions About Biking Tips? Mike has two email addresses so you can write him at this address or here .